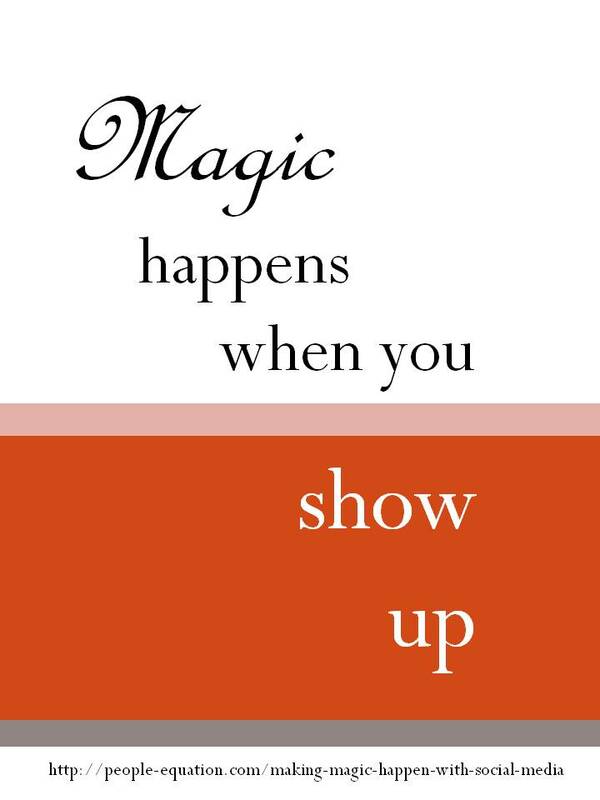 When it comes to social media, the magic really happens when you show up. I’ve been at this social media thing for several years now, and I’ve started to wonder if it’s worth the effort. Becky’s comment was a wake up call. I’ve realized that I haven’t been showing up. Oh, sure, I’ve been promoting my blog posts and replying to @mentions on Twitter. Sending the occasional update on LinkedIn. But the effort has been inconsistent and unfocused. And the worst part? I’ve forgotten to be a giver. So it’s time to change that. 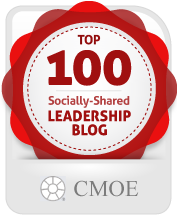 I’m going to get social like I used to: show up, give back and be open to possibilities. That’s pretty much the formula for anything in life. I love this, Jennifer, and I agree. The wake-up applies to all areas of our lives. Magic happens in the relationships, and relationships only flourish when we nurture them. Bravo for your openness and honesty! A good reminder for us all.